Computex 2018 was extremely busy for me. For STH, this was the first time we had more than just myself at the event (growing up after 9 years.) I had several dozen meetings and booth tours and on one I saw something unique. Nestled in a private room I saw a system from iEi Group. In the back of the display, I found an AMD EPYC 3000 series networking appliance that the company says they have booting. 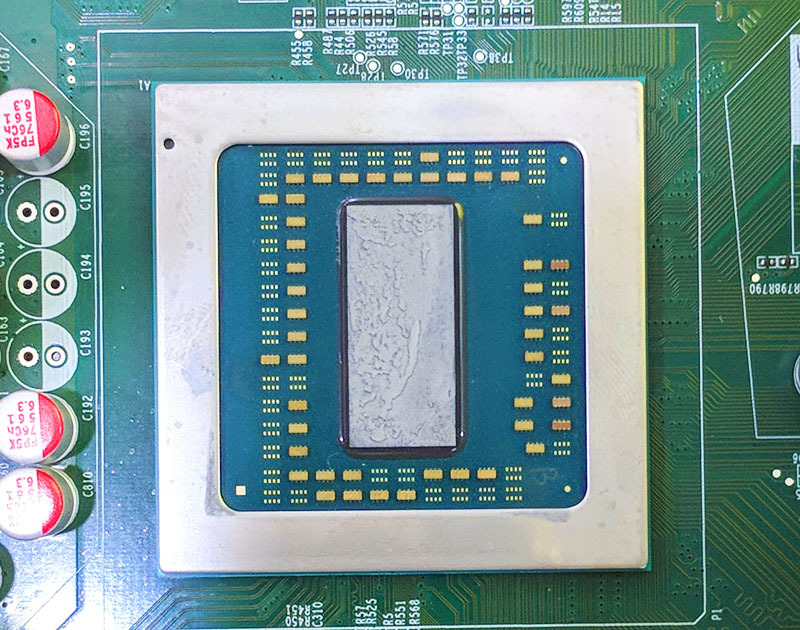 We ripped off the case and heatsink with great speed to verify it was indeed the first AMD EPYC 3000 series platform that we have seen outside of AMD demos. 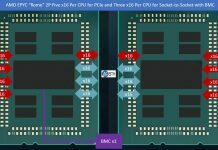 The AMD EPYC 3000 series has been hard to find while the V1000 launched at the same time we saw in quite a few places. Many of our readers may wonder, “why was Patrick at iEi’s booth?” This is a logical question since we have not covered the company’s products in the past. While our readers may not know iEi, they are likely to know a subsidiary. QNAP is a subsidiary of iEi Group in Taiwan. iEi Integration is an industrial systems manufacturer where QNAP formed about a decade and a half ago. The iEi Puzzle family is a series of modular and expandable network appliances that the company is targeting at the software-defined networking market. During our booth tour we saw a number of Intel appliances. As you can see, the expansion slots are designed to be modular so that both front panel and rear I/O modules can be swapped. This allows a customer to use a base platform and then build different variants, say some with 1GbE and others with 10GbE SFP+ (Intel XL710) networking. Overall we liked the design. 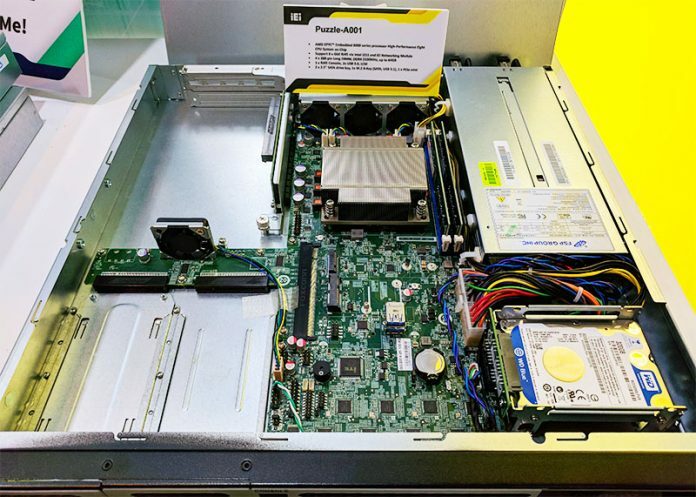 For some context, at Computex, there are more than a dozen vendors selling x86-based appliances intended for networking. The iEi Puzzle platform was one of the highest-quality and well-designed units for sure. Then we got distracted by a small sign tucked in the back corner. For the uninitiated, that is an AMD EPYC 3000 series single-die part. The AMD EPYC 3000 series has single die parts up to 8 cores / 16 threads and dual die parts up to 16 cores/ 32 threads. The iEi Puzzle-A001 we saw used an eight-core part. We still have not seen the 16 core model live, but this is the first EPYC 3000 series platform we have seen outside of AMD’s demo systems. 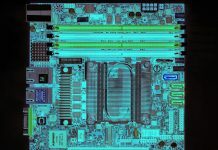 We asked iEi if they were using one of the 10GbE NICs on the EPYC 3000 series package and were told that they were not. The small card said that the platform has 4x DDR4 DIMM slots however the capacity and 2x DIMM slots in the system seem like a more realistic configuration. Overall, the iEi Puzzle family looked great. I certainly would love to build a firewall appliance with these systems. 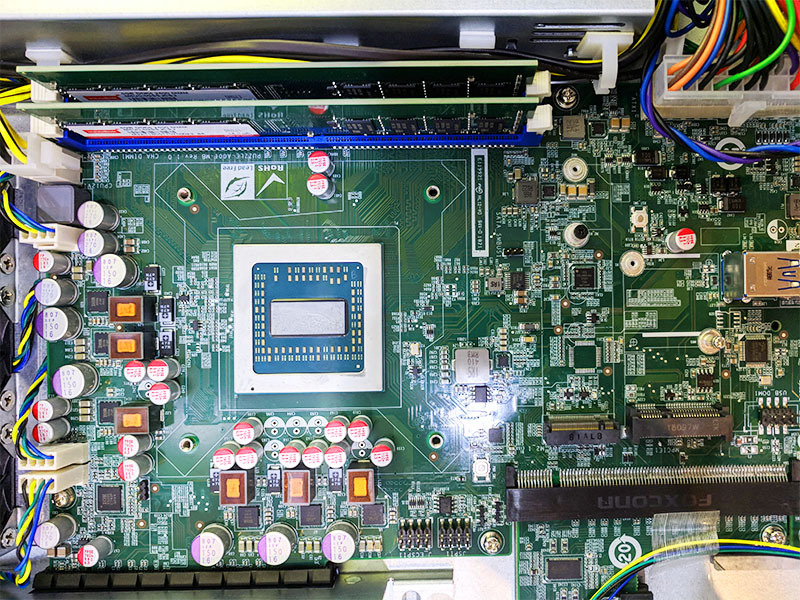 The inclusion of the AMD EPYC 3000 series iEi Puzzle-A001 product was a welcome surprise as it was the first AMD EPYC 3000 series system we have seen live. 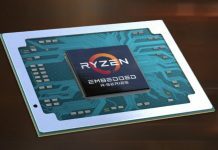 Both the Intel and AMD versions of the Puzzle look like they are well designed and flexible. If somehow the Intel and AMD versions arrive at the STH test lab we will be sure to do some head-to-head comparisons. I would love to see this appliance bask in the ligh of day. It has such utility for my line of work. I’ve been evaluating x86 platforms for routing and there just aren’t that many good appliances out there that fit my use case. Having something modular would be fantastic! Thanks for the hard work Patrick, glad I found the site, look forward to seeing more info on this chip soon. Wish AMD could get more out there. What kind of software does iEi ship with these appliances, if any? Are the front add in cards standard pci-e direct to the system, or some different proprietary connection which requires driver support? I could see these being very flexible so long as there is support for the network AiCs in various OS environments. Curious if they’re working to get the devices certified by any of the larger virtualization vendors. From the sound of “we have it booting.”, I very much suspect that one is still work-in-progress (perhaps a little buggy or still having some persistent issues). Perhaps that is why they had it “tucked in the back corner”. That is my 2 cents.